Bimetallic Joints in Cryogenic Applications - Meyer Tool & Mfg. Aluminum, copper and stainless steel are the most widely used metals in cryogenic equipment. Aluminum and copper, with their high thermal conductivities, are often used in heat exchangers and thermal shields. Where radiation activation or weight is a factor, aluminum may be used for the majority of the pressure boundary components. On the other hand, GTAW (gas-tungsten arc welding) of stainless steel is an efficient, repeatable process that consistently produces helium leak tight welds. Also, a great variety of piping and tubing sizes and components are readily available in stainless steel. The same is not true of aluminum. Cryogenic dismountable mechanical joints, e.g. conflat flanges, indium seals, etc. are either commercially available or easily and reliably produced in stainless steel. Cryogenic transfer lines are commonly fabricated from stainless steel. 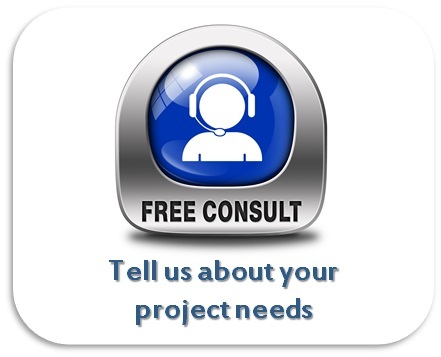 For these reasons it is often desirable to transition from an aluminum or copper component designed to take advantage of the properties of those metals, to piping or dismountable joints that take advantage of the properties of stainless steel. To do this we need a helium leak tight, mechanically sound joint that can be cycled to cryogenic temperatures. The solution is often the use of bimetallic joints. Copper to stainless bimetallic joints are easily produced through torch or furnace silver brazing methods. Copper to aluminum and aluminum to stainless steel bimetallic joints are both produced using similar processes; processes less familiar than traditional shop joining methods. Copper to aluminum bimetallic joints are unusual in cryogenic systems, though are sometimes seen in accelerator applications that may have a cryogenic aspect. The focus of this article will be on the more common aluminum to stainless steel bimetallic joints. A number of methods have been used to join dissimilar metals. The most common are brazing, explosion bonding and friction welding. In our experience at Meyer Tool cryogenic aluminum/stainless steel bimetallic joints are not normally produced through brazing; explosion bonding or friction welding of bimetallic joints being the most common methods. Twenty years ago the use of friction welded bimetallic joints was very common. As bimetallic plates produced through explosion bonding became more readily available, Meyer Tool standardized on using these materials. Our experience has been one of high reliability coupled with relatively high joint mechanical properties. Within the limits of the thickness available (in the order of 1.5"-2" per material) a variety of configurations can be machined. Aluminum is a highly reactive element, and the tendency of aluminum to form intermetallic compounds with other metals complicates the production of bimetallic joints. Aluminum combines with iron (as well as other metals) to form compounds which are brittle. The key to avoiding the formation of a thick layer of aluminum iron compounds, which could cause a joint to fail, is to limit the extent to which aluminum can diffuse into the stainless steel. Because diffusion rates increase sharply with temperature, one approach is to limit the time during which the aluminum and stainless steel layers are in contact at elevated temperatures. Producing bimetallic plates through explosion bonding meets the criteria listed above. As the name implies, these plates are produced by using the shock wave from a chemical detonation to drive two plates of dissimilar metals together. The high temperatures and high pressures that are generated at the shock wave, as it travels across the interfaces, forces impurities on the surfaces to be expelled and creates a clean interface between the base metals. Because this event is brief, the aluminum has little time to diffuse into the stainless steel. These plates can then be machined to form pipe or tube junctions which can be welded to stainless steel on one side and aluminum on the other. Typical data properties of the resultant aluminum/stainless steel joints are reported as 80 MPa (11kpi) minimum tensile and 45 MPa (6.5 kpi) minimum shear at liquid nitrogen temperatures. With proper safety factors applied, fittings can be designed that allow the use of the material directly or, as is sometimes the case, mounting the joint between a pair of standard ANSI flanges, to limit the mechanical stress imposed on the joint. Friction welding can also be used to join dissimilar metals. Friction welded stainless steel to aluminum transitions are available commercially. Traditionally, sections of pipe or tube are joined by spinning one side. In some schemes the part to be welded would be spun to a fixed speed with an additional mass to increase the moment of inertia attached. The part would then be brought to rest by contact with the second piece to produce reproducible and well controlled heating, as well as mechanical pressure on the joint. The period in which the parts are heated is brief and heat is concentrated at the interface, factors which help to limit diffusion of the aluminum. A number of brazing processes have been developed to join aluminum to stainless steel. A brazing process is widely used to produce cooking pots with an aluminum to stainless steel junction. To join aluminum to stainless steel, an Al-Si eutectic is frequently used. Induction heating may be used to produce a short brazing cycle and limit the diffusion of aluminum into the stainless steel. Another technique which has been used is to apply a layer of titanium to the stainless steel to act as a barrier to diffusion of the aluminum. ​At Meyer Tool, we have fabricated many systems which incorporate aluminum to stainless steel transitions. 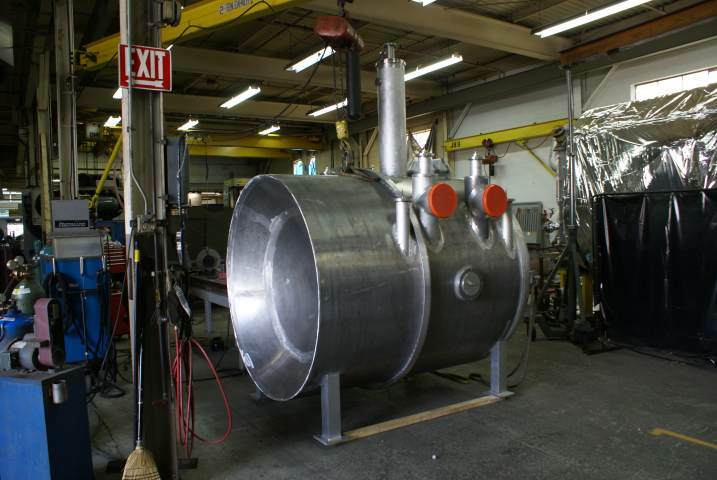 This includes systems with aluminum ASME B&PV Code Section VIII U stamped pressure vessels and ASME B31.3 Process Piping, the MINERvA Detector Vessel pictured being an example. We have standardized on the use of bimetallic joints made from explosion bonded plate to achieve these transitions. We have experience in both specifying these joints and installing them in a manner which protects them from excessive stress. Our program of cold-shocking and leak testing ensures that these systems will provide trouble-free service. When fabricating cryogenic systems, depend on Meyer Tool’s experience in using bimetallic joints to Reduce Project Risk in order to achieve the lowest total cost of ownership on your custom vacuum and cryogenic needs.